How this blog has been written for many years, and I have yet to do a feature on pumpkin is beyond me. I am jumping on the fall, holiday, and pumpkin bandwagon now. If your go-to recipes are the usual desserts and sweets, what savory recipes have you tried? If not many, take inspiration from some fun savory options: Pumpkin Chili, Spicy Pumpkin Soup, Pumpkin Cornbread, Pumpkin Pie Overnight Oats, etc. If you are making sweet recipes with pumpkin, such as bread, pie, bars, etc., consider adjusting the recipe to be healthier, such as reducing fat and sugar or using healthier fats like oil instead of butter or shortening. Try some ideas from Altering Recipes for Good Health from Texas A&M AgriLife Extension. Nutritionally, 1/2 cup pumpkin puree contains around 40 calories, 10g carbohydrate, 4g fiber, and is a source of vitamins and minerals, including vitamin A and potassium. Pumpkin puree contains almost no sodium, fat, or protein. Buy: Look for canned pureed pumpkin for use in recipes. Note that canned pumpkin pie mix is pureed pumpkin but has added sugar and spices, like cinnamon. Using the pie mix may make your recipes turn out differently if you were supposed to use plain puree. You can also purchase a cooking pumpkin or winter squash, cut into pieces, bake or boil until the flesh is soft, and puree it. Do not use Jack-O-Lantern pumpkins to make pumpkin puree as the texture and taste is not as good. See the References below for information on how to make your own puree. Price: Depending on how the growing season was, pumpkin may be more or less expensive than previous years. Store brands of pureed pumpkin are available and often cheaper. Store: Store canned pumpkin like other canned goods, in a dark and cool place. Use by the date on the can for best quality. Prepare: Open the can and follow the recipe directions for the puree. If you are making your own puree, see the References below for instructions to do this. Refrigerate or freeze any puree within 2 hours of cooking or opening the can. Eat: As mentioned, pumpkin is great in sweet and savory dishes. 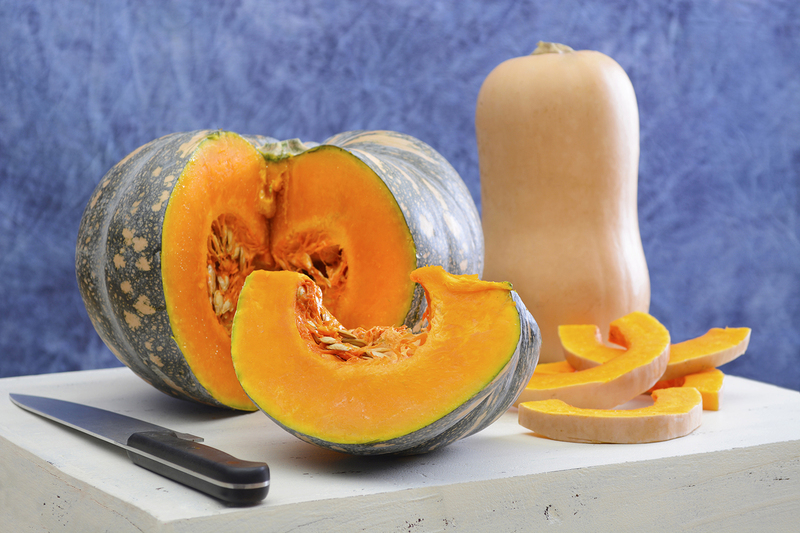 Note that if you do not want to use pumpkin, many other winter squashes can be substituted for pumpkin. Just remember the taste will be different. University of Illinois Extension, Mission: Nutrition, Should I Refrigerate My Pumpkin Pie? and It's the Great Pumpkin Puree, Charlie Brown! This recipe appears in the UI Extension "Meals for a Healthy Heart" series. It is very moist and contains less sugar and fat than many other pumpkin bread recipes. 1. In larger mixing bowl, beat together pumpkin, sugar, oil, and yogurt. 2. In a medium bowl combine the flours, baking powder, soda, and cinnamon; add to pumpkin mixture, stirring just until moistened. 3. Stir in the raisins. 4. Pour into a greased 9x5x3-inch loaf pan or two mini-loaf pans. 5. Bake in preheated 350°F oven for about 1 hour or until a wooden toothpick inserted near the center comes out clean. For mini-loaves, check for doneness after 50 minutes. 6. Cool on a wire rack for 10 minutes, then remove from pan and cool completely.